When most of us think of wagons, a few things come to mind: happiness, joy, manual, maybe brown and diesel, bliss, and, usually, not available in America. The newest version of the Skoda Superb wagon is all of that and then some protection from gunfire and bombs. Yet, it will likely come here. You win some and you lose most others, right? 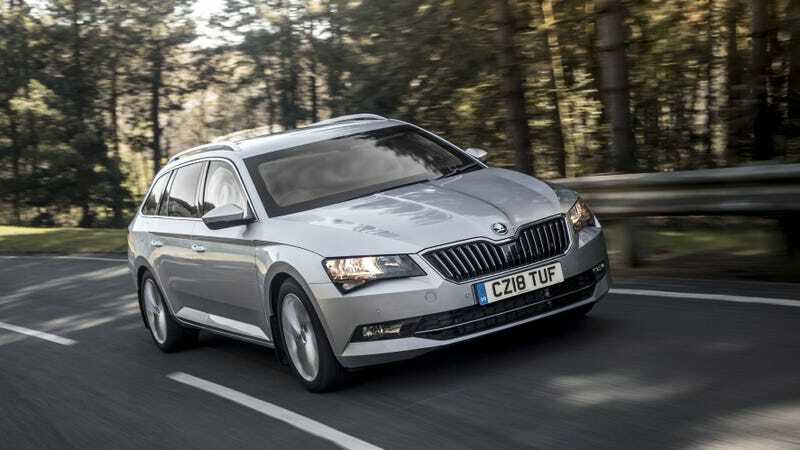 This new Superb wagon is a whopping £118,688, or almost $158,000 at current exchange rates. That’s $127,ooo more than the base price of the wagon, and, according to Skoda, the extra money will get a buyer bullet-resistant glass, high-strength steel, wheels that continue to run even when deflated, a siren system and a three-year warranty. The car also comes with Apple CarPlay and Android Auto, which are equally as important as the blast protection. For sure. More videos of weapon testing on armored cars, please. Many more. Anyway, the press release on the new Superb said Skoda, owned by Volkswagen Group and wildly successful across the ocean from the U.S., has been developing the car for three years alongside an unnamed UK-based convertor. 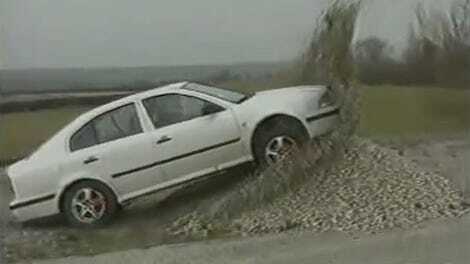 The armoured car is based on a standard 2.0 TDI 190PS Superb Estate. Although exact details of the conversion must remain secret, the passenger cell has been reinforced to the extent that it meets PAS 300 requirements for ballistic and blast protection. This certification was carried out by an independent test facility and involved firing different types of ammunition at the vehicle and exposing it to blast and fragmentation threats. [...] Other features incorporated into the design include adaptations to the wheels that can continue to run even if the tyres are deflated – allowing the driver to get to a place of safety after a blowout – and an emergency lighting and siren system. The Volkswagen Group was reportedly contemplating bringing Skoda to the U.S. a couple of years ago, when its Dieselgate scandal was in full force instead of the numb buzzing sound it’s turned into three years later, thanks to the continual emissions cheats from other manufacturers and never-ending attempts to fix the cheating cars. But that move wasn’t meant to be, and, alas, we’ll probably never see one of these fully armored wagons in America. You hear that, fellow Americans? That’s the sound of the cool stuff passing us by without a second thought. Wave. This may be your only chance, after all.